Nikki Kumari, 8, was so anxious to help prepare food for flood victims in eastern India that she roused her mother at 4 a.m.
A surprised Asha Kushwaha told UCA News that her daughter "never wakes up before six!" Nikki, a third grader at Sacred Heart School in Bihar state´s Bettiah town, explained that she could not sleep after her headmistress narrated the plight of thousands marooned in nearby areas. "The faces of hungry children kept haunting me, and I kept looking at the clock the whole night to wake mummy up as she had to cook a lot," she said. Sacred Heart is among 15 Church-managed schools in Bettiah, some 950 kilometers east of New Delhi, that banded together to rally their 8,000 students to help victims of massive flooding. "We asked ourselves why we should not involve our children to fight the catastrophe," Jesuit Father Lawrence Pascal, rector of Bettiah´s Khrist Raja High School, told UCA News Sept. 12. The children, he said, were asked to bring packets of cooked food in phases. Sacred Heart headmistress Sister Deepika said the response from the children and their parents was overwhelming. She said they collected enough food to feed some 8,000 flood victims through their "each one feed one" program. 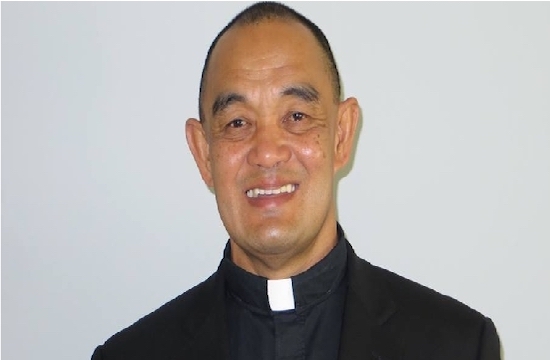 Jesuit Father Ranjan Lazarus, president of a forum for local Religious, observed that the strategy to involve schoolchildren in the fight against hunger has brought a "mass awakening" in the area. 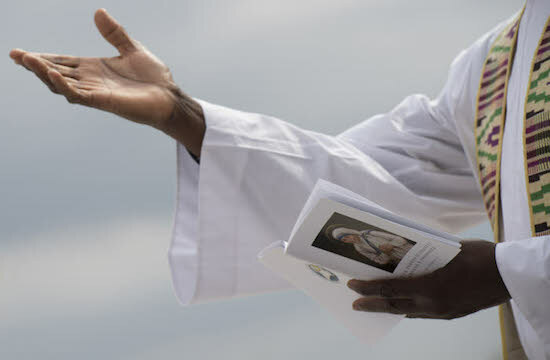 The students took up the relief program as a challenge after being asked if they did not have a duty to help thousands of children suffering hunger because of floods, said Sister Celine, headmistress of Notre Dame School. The Notre Dame nun told UCA News that their appeal not only touched the children but brought "unprecedented" changes in their parents. The first village to get aid was Dumaria, a remote village of 3,000 landless daily wage earners in Bihar´s West Champaran district that government agencies had ignored, said Jesuit Brother Yesu Das, who led the student relief team. The village was inundated when a nearby embankment broke at night in mid-August. As the water rose, people took shelter on the embankment but failed to save their food stock, said villager Moti Ram. Suman Manjhi, 14, who belongs to the low "mushahar" (rat eaters) caste and has stopped her schooling, said they would have died of starvation if it not for the students. "We ate to our hearts´ content as the volunteers gave each family enough to survive for three-to-four days," she told UCA News. She said they hunted fish in the flood water to survive, but could not cook the fish they caught as they had no firewood. Prityia Devi, a mother of three in Dumaria, said that they had not eaten for three days when the students came. Her children "cried with hunger and I could do nothing," she told UCA News as she watched the three gulp down in five minutes two kilograms of "chirua" (flattened rice) with pickles that the students brought. The students also provided the villagers salt, candles and matches. Priyanka Priti, 8, a third grader at St. Teresa Girls´ School, donated 20 rupees (US$0.42) that she had saved from her pocket money. "Those suffering children needed the money more than myself," she told UCA News. Her mother, Renu Devi, said she would never have thought that children so young could empathize with other people´s pain. Her daughter´s gesture convinced her that misery will disappear "if we have love and generosity." Meanwhile, Nikki´s mother is now "emotionally involved" in the relief work and is willing to prepare food "as many times as my daughter´s school asks."